It is always good to see MPs speaking on their specialist subjects. What is David Miliband up to? In any leadership election, David Miliband would undoubtedly be the front-runner. But he has always played a cautious game until now. He declined to spark a leadership contest against Gordon Brown last year, rightly calculating that he would lose and that it would diminish his standing in the future. Now, his excellent article in today's Guardian has created suspicions in a media anxious to pretend that an empty Westminster is riven with plots, that he is planning to challenge Gordon imminently. Michael White has a good take on it all on his blog (and a reminder that like most politicians, Miliband is heading off on his holidays). I think the most we can say is that Miliband is putting down a marker; but the thesis that he advances in his article is one that sets the minimum parameters for the Prime Minister in September for his conference speech, as much as it is the start of the Miliband leadership manifesto. The terrible bombings in Istanbul are a reminder of the threats that face Turkey. Reports suggest that Kurdish terrorists may be responsible on this occasion. But Turkey also faces a deeper threat to its future this week, as the constitutional court considers banning the governing AKP party and its leaders over their decision to allow head scarves at universities. There is much to admire in Kemal Ataturk's secularist philosophy. It opened Turkey to new ideas and a greater tolerance for western ideas. It gave a greater equality to women than in many European countries. But Turkish secularism has itself become a rigidly conservative form of intolerance. The AKP, in its first term in power, did rather more than adopt a more pious Islamist approach: they opened up the economy and, arguably, did more to advance women's rights than any other government in recent years. It is true that they have become more defiant in their second term, with the head scarf decision and the promotion of a moderate Islamist as president. But they fought and won an election making clear they intended to do so. This is why it is so intolerable that the intolerant 'guardians' of secularism should feel able to flout the democratic will of Turks. By no stretch of the imagination could anyone believe that the AKP are a vanguard of Saudi Wahabbism or extremist Islam. It hasn't helped the AKP's credibility that European Union membership has been effectively blocked by France and others. But this week the EU could make clear that if Turkey's 'guardians' of secularism mount a constitutional coup, then Turkey has no chance of EU membership; while, at the same time, being much clearer about the rewards that await a country that continues along a democratic and economically liberalising path. This week is a moment of truth for Turkey. Iain Dale's Total Politics is publishing the 2008-9 Guide to Political Blogging to produce the Top 100 UK Political Blogs, a list is usually dominated by Tory blogs. It would be good to highlight some of the excellent Labour blogs that now exist too. So, please email your Top Ten (ranked from 1 to 10) to toptenblogs@totalpolitics.com. Order them from 1 to 10. Your top blog gets 10 points and your tenth gets 1 point. The deadline for submitting your Top 10 is Friday August 15th. Please type "Top 10" in the subject line. Once all the entries are in a draw will take place and the winner will be sent £100 worth of political books. 4. Blogs chosen must be listed in the Total Politics Blog Directory. 5. You must send a list of TEN blogs, ranked. Any entry containing fewer than ten blogs will not count. 6. Anonymous votes left in the comments will not count. You must give your name. What now for Brown after Glasgow East? There weren't even the top-hatted toff mockers to blame this time. Labour had an excellent candidate in Margaret Curran and ran a super-professional campaign. But it didn't do enough to prevent the SNP from snatching the seat by a few hundred votes. Glasgow East should be the signal of what needs to change in Labour. And that change needs to come from the top, rather more than at the top. It is good that Gordon Brown is taking a decent holiday this year. But he needs to make it a holiday, and stop sending lots of emails to his staff and trying to micromanage events from his Southwold holiday home. Instead he needs to reflect on how to start the party's recovery in the autumn. Of course, the economy will be crucial: Labour can have little hope of recovery while people experience double-digit food and fuel increases, and see their home values diving. But, an economic recovery of itself will not be enough. Brown's problem is not just a lack of empathetic engagement - though that is a problem for a modern politician - it is also a fear of spelling out a clear sense of purpose, including just how radical his government is being, which hides notable successes in aspects of the public services such as health and education (marking fiascos aside). Public satisfaction with the NHS is now at record highs; this is thanks to the investment and reforms introduced by the Labour governments, which has meant more frontline staff, much lower waiting lists and better equipped hospitals and surgeries. Yet, in polls, the public say they trust the Tories - whose main policy is to dismantle Labour's successes on orders from the BMA - more than Labour on the NHS. On education, a daft decision to create 'distance' from Tony Blair on academies in the first months of Brown's premiership has obscured their subsequent rapid and hugely popular expansion. Crime is falling fast - as even Tory commentators acknowledge, even if they want the credit given elsewhere. And the government has been radical on welfare reform this week. Yet, there is no sense that Labour is making the political weather. The Tories, whose policy differences with Labour on the subject are relatively small and draw heavily on academies, are seen as having all the ideas on education. Even on welfare reform, where the work had been done before any Tory policy commission was born, many commentators were persuaded that Labour was just copying their ideas. That's where the big change is needed. Tony Blair was very good at developing and disseminating a clear political narrative. With Gordon Brown, there is no such narrative, so nobody from the commentariat to the common voter can understand what's happening. This failure may owe something to the schizophrenic attempt to create novelty in the first months of Brown's tenure. If so, the time for real clarity is overdue. That means selecting half a dozen very clear goals for the government, on which Brown devotes most of his energy. He should leave the micro-management to his ministers, and where necessary, to his policy aides, but work relentlessly on those goals. These goals should be spelt out at the party conference in September, and he should devote considerable energy and the time of his delivery, strategy and policy people to seeing them being delivered. Any reshuffle should be done with this in mind, ensuring strong ministers who can communicate effectively leading on these goals. None of this will require a huge change in policy direction. The last few months have, ironically, been the most productive and radical of Brown's tenure to date. But they will require a big change in approach by Brown and his team. Brown should enjoy his holiday, despite the Glasgow East result, and leave the day-to-day business to Alastair Darling and Jack Straw. After all, when he returns, he needs to be physically and mentally refreshed if his to defy the psephologists and establish the clarity of purpose that could - with an economic upturn - start to restore Labour's fortunes. It may well be the case that the government has too many targets in its Foundation stage. And middle class parents whose children are unlikely to grow up illiterate and educationally disadvantaged should, perhaps, have much more choice to send their offspring to Steiner or Montessori schools. But to imagine that the very children whose poor education the Times and other media bemoans several years later will ever catch up without a decent early years education - as today's letter from children's authors does - is fantasy of the first and worst order. If the government doesn't set some minimum pre-literacy goals - to be achived by age seven - do we really believe that every child will have a fair chance of success? Of course, play matters. But seven year olds should be reading too. They might even advance to Philip Pullman and Michael Morpurgo if they are not consigned to poor literacy from the start. Karadzic was no fool; he spoke the diplomats' language, and, in return, Britain, France and the UN led the prevalent international policy of calculated refusal to stop him, thereby advancing his aims. The governments of Britain and France especially - as well as the United Nations leadership - saw in Karadzic not the war criminal they call him today, but a fellow politician with whom to do business. Karadzic dealt - directly or indirectly - with Lord Peter Carrington, Malcolm Rifkind, Lord David Owen, Cyrus Vance, Douglas Hurd and Dame Pauline Neville-Jones as an equal deserving full diplomatic protocol. A recent book by the lawyer Carole Hodge finds Karadzic, in return, praising Britain's "refined diplomacy". To the private hilarity of the Serbs, western diplomats accepted Karadzic's endless, empty guarantees and his posturing and fleeting "ceasefires". They agreed to turn back aid to the desperate safe areas" declared but betrayed by the UN. They connived in maps and "peace plans" that gave Karadzic everything he had won by violence and tolerated the siege of Sarajevo, which he is accused of personally overseeing. The schools secretary Ed Balls has been forced to make a statement to the House of Commons on ETS's incompetent handling of this year's national tests. Since he is the secretary of state for schools, it is right that he should do so before Parliament shuts for the summer; indeed, he ought really to have volunteered to do so (in addition to his appearance at the select committee) despite having established the Sutherland inquiry. But contrary to the argument advanced by Michael Gove in today's Guardian, this doesn't mean that responsibility for what ETS did - or didn't do - lies with him. After all, the Conservatives decided to create an arms-length agency responsible for the qualifications and curriculum system; Labour has kept that agency. Of course, government advances strategic policy - on Diplomas, for example, or even on whether there should be an A* - but since neither Ed Balls nor this government has yet made any significant changes to the key stage tests, it is absurd to argue that their policy decisions are responsible for the ineptitude of a company supposedly experienced in managing tests and exams. 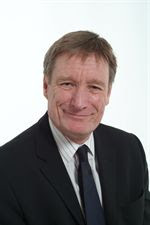 The QCA has the responsibility of managing its contract with ETS, which is being paid a lot of money to do what ought to be a pretty straightforward job; and to his credit, its director Ken Boston has accepted that responsibility and apologised for the authority's and ETS's failings. Instead, he should ensure that externally marked testing is fit for purpose in the future - not least by radically modifying plans for single level progress tests, a disaster waiting to happen -but ignore the calls for him to quit. It is true that there have been many attempts to get to grips with the problem of Incapacity Benefit, and the absurd number of people who claim eligibility to it. Ever since the Tories used it to massage the unemployment figures in the eighties, IB has been a route to lifelong benefit dependency for many. This is why James Purnell's measures today are welcome - and necessary. It is another sign that this government is being radical in its reforms, and as James points out in a well-argued piece in today's Guardian, another sign that Labour is grasping its responsibilities to tackle poverty. I do have some sympathy with Frank Field's argument that the real problem with IB is that it pays more than Jobseekers' Allowance; a better reform might be to focus extra help through Disability Living Allowance - which helps people with disabilities to work - rather than the replacement for IB. Nevertheless, this is a big start and one deserving of support. Well done to Andrew Marr for finally starting to ask some questions of David Cameron. Not that he got any answers. But it made a pleasant change from the regular PPBs for the Tories on the Today programme, where Cameron is effectively asked in best 1950s style, "Now what have you got to share with us today, Mr Cameron?" There are a lot of areas where the Tories get away with pretending their policies are more thought through than they are: this blog regularly berates their BMA-pleasing anti-patient health policies; few people realise that their education policies, because they have not properly learned from the Swedish experience, would involve huge deadweight capital costs (and considerable waste as a result) which will be paid for by cancelling many school building projects already in the pipeline; and today, Cameron as good as admitted that he would put up taxes. I don't suppose Cameron is volunteering for a Paxo grilling any time soon. When I was a teenager, I had a guilty secret. I liked Abba. My first two LPs were from the Swedish supergroup, and I have never stopped enjoying their music. But this was not something one could admit as a seventies teenager. So I developed a short-lived taste for Genesis and Pink Floyd, and feigned an enthusiasm for punk. My tastes have since evolved into folk, jazz and 'world music' but my liking for Abba has not diminished. But whereas one dare not admit to enjoying Abba because of peer taste pressure as a teenager, today one is apparently not supposed to like Mamma Mia because it offends the po-faced cultural commissars who decide what we should enjoy. So, I confess: we saw Mamma Mia last night, and laughed along with Meryl Streep, Pierce Brosnan, Julie Walters and the rest while enjoying the corny excuses for Abba song placements and wishing we were on the Greek island where it was all filmed. The cinema was full for a 6pm showing. And if you want a piece of entertaining escapist fun, I doubt there's much better showing at the moment. Whatever the critics say. So despairing are some Conservatives about David Cameron's embrace of tax rises that they are giving house room to Nick Clegg's pretensions of being a tax cutter. In one sense, you could credit Clegg with being the heir to Margaret Thatcher: after all, her income tax cuts were paid for by a hike in VAT. In fairness, Clegg's proposals are more progressive. But Clegg is promising two tax rises that will hit middle earners hard: an extra £1000 a year tax for £50,000 earners contributing 10% of their income to pension (something that will particularly hit those who save for old age without employer contributions) and a big rise in council income tax (for many, it will be over £1000) to boot. For them, this is a tax rise. There is certainly a case for raising the threshold at which people pay tax - perhaps by removing some tax credits - but I do wonder how many Lib Dem voters realise that for them, Clegg's tax 'cuts' would leave a big hole in their pockets. Clearly, ETS have made a hash of their contract for the national tests, and should not be able to keep it in the future. Of course, the government cannot say so as Michael Gove, the shadow schools secretary demanded on Today this morning, but there must be no question of their ineptitude being rewarded. But, what then? The answer is certainly not, as the more excitable teaching union leaders mught wish, to scrap external marking for national tests. Particularly at 11 - but also at 14 - they are a vital progress check not just for pupils but for teachers, and it is extraordinary that anyone could believe that the only check on literacy and numeracy standards on primary schools should be done by the schools and teachers themselves. There are, however, serious issues about the future of the tests which go beyond the immediate question of the ETS incompetence. The first is whether the current plan for progress tests - where pupils sit 'level tests' that can only be passed to that level - should continue, and whether a simpler form of flexibility might not make more sense? Plenty of schools enter their pupils for Key Stage 3 tests at 13 rather than 14. Why not encourage the same flexibility in primaries where they want it, but keep the existing tests. The system would simply find it too hard to deal with the currently planned progress tests. And there may also be a need for a more fundamental look at the content of the English and Maths tests, in particular, to ensure they are testing what we need to test, and giving secondary schools the information they need (too many feel the need to use the London reading test to supplement key stage tests). But above all - as this blog has argued before - we need to be clear that testing is here to stay, because of its importance to accountability and pupil progress. On that, there should be no compromise. To London today for the launch of a new volume of essays on academies, which I co-edited for Centreforum with Julian Astle. A pleasing consensus is emerging on the value of academies, and the launch was attended by Andrew Adonis, Michael Gove and David Laws. Michael Wilshaw also recounted his experiences at Mossbourne in Hackney. 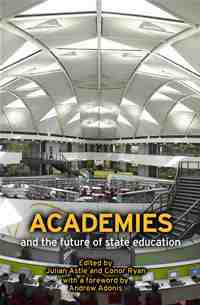 What the new volume demonstrates is not just the extent to which different academies have used a combination of their dynamic leadership and independence to innovate on everything from the curriculum to all-through schools, but also the way that the idea of academies has become a mainstream position for all the parties (at least at leadership level). With the government committed to 400 academies, and the Tories and Liberals seeking to outflank them (albeit with exaggerated differences in emphasis) academies are clearly here to stay. In the book, Paul Marshall, whose work with Ark has helped develop the multiple mini-school model for academies, argues for primary academies, while Julian Astle goes beyond the prevailing consensus to argue for profit-making providers. But what it perhaps most illuminating is the testimony of the various heads who have battled against the odds to disprove the doubters. You can read the book and access the media coverage here. Mick Brookes, the anti-testing leader of the National Association of Head Teachers declares that because this year's national test results are late to schools, the whole exercise should be abandoned completely. But then Mr Brookes wants to scrap the tests anyway. He would prefer that his members judged their own results, without any external audit. But surely it is better that schools get the results late than never, not least for the youngsters who sat them. But a nice try, anyway. Have just returned from a ten-day visit to Prague and Karlovy Vary (pictured), in the Czech Republic. I had last been to Prague thirteen years ago and the city has certainly changed, not all for the better. We enjoyed an excellent performance of Don Giovanni at the Estates Theatre where Mozart conducted the opera's premiere, and the theatre exudes the atmosphere of the era. We saw some great jazz funk from Madfinger at the Agharta cellar club (pictured below) and had an excellent dinner at the Bellevue restaurant. We also visited - aside from the obligatory walks around Old Town and the Castle - a sobering if straightforward new Museum of Communism and a fascinating museum dedicated to the life of the great Czech decorative artist Alphonse Mucha. We also visited the church of Saints Cyril and Methodius where the brave parachutist assassins of Reinhard Heydrich in 1942 went into hiding before being betrayed by a supposed comrade: the sobering exhibition in the crypt tells of not only their last days but the consequences for the Orthodox priests who concealed them and others whom the Nazis killed in revenge. In Karlovy Vary, where the 43rd film festival was in full swing, the attractive spa town tells the story of the Czechs' changing fortunes in microcosm. The Festival itself started in 1946, but went through a dreary phase until the early sixties when it reflected the opening up of Czechoslovakia under Dubcek, before reverting to a shared staging with Moscow until the Velvet Revolution. We saw two excellent films introduced by the directors: Marion Lane's Un Coeur Simple with a riveting performance by the wonderful Sandrine Bonnaire in Flaubert's fable; and John Sayles's Honeydripper, with Danny Glover also in attendance. Though both films have had their UK premieres already, it was great seeing them in very glamorous festival settings. The town itself has long been a Russian favourite, and the relationship has continued since 1989. Parts of it are ridiculously over-priced, but the best meal in town by far was at the Embassy restaurant, which was also probably our best meal of the holiday - authentic Czech food at a fair price. And money is the biggest change in Czech society. For a British pound-spender, the prices are often absurd as the Koruna has become even stronger than the Euro. But it is also the attitude of many to making a fast buck which seems different. Unless you use a reliable company like AAA in Prague, taxi drivers will rip you off with dodgy meters. And the mark-ups in many restaurants make Italy in August seem like a bargain. That said, there is so much that remains attractive about the Czech Republic that one hopes such attitudes don't deter visitors. After all, there are few cities that can match Prague in Europe for their sights. Could someone explain why this young man, who had worked hard to gain top A-levels and a place at Imperial college and to rehabilitate himself after a youthful burglary conviction, is being denied a chance to build a medical career, while this young man, despite being a repeat offender for his thuggish behaviour, remains a Newcastle United football player? Can you compare the level of difficulty in a Physics and English exam paper? My old friends at the University of Durham have just completed their latest assignment on behalf of the Institute of Physics, Royal Society and other members of the 'Score' lobby group. Funnily enough, it concludes that it is much harder to get an A in the sciences than drama, sociology or media studies, and a bit harder than English, RE or business studies, while history is tougher than film studies. They suggest that extra credit should be attached to tougher subjects. Now, Ofqual, which has recovered from its rubbishing of the quality of marking, has decided to take a closer look too. But I wonder whether all this is not beside the point. As one who enjoyed history and economics more than physics or chemistry, I always found the latter subjects harder. But their questions are also usually less subjective. It is harder to measure - and agree on - what makes a good essay than whether a formula is correctly applied. This is not to say that Ofqual shouldn't try. However, if the Durham team and their sponsors are really more concerned about incentivising students to study the subjects, and government wants more people studying those subjects, wouldn't it simply make more sense to award extra credit to good grades in physics and chemistry on those grounds, rather than trying to prove their innate superiority?